December is one of our busiest months. 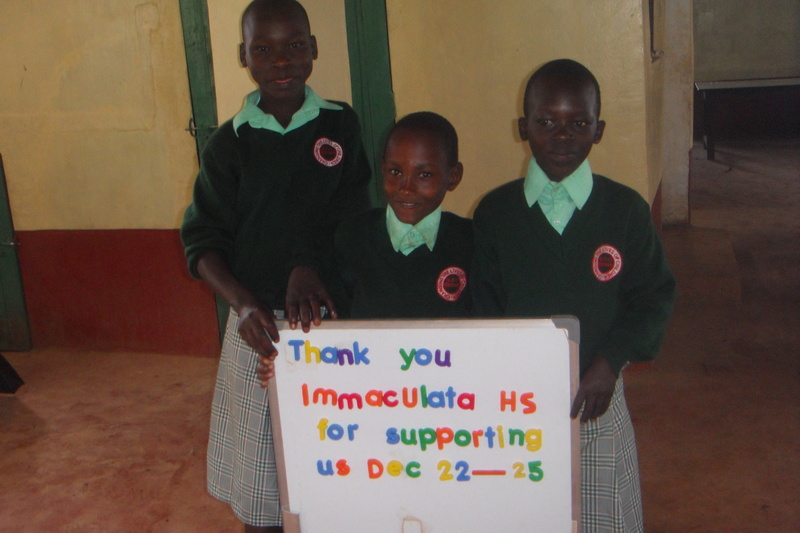 It is a time when sponsors and schools often make generous donations, when the children all receive Christmas presents and parcels, when exams are written that will determine high school placements, when every child returns to their extended family to spend the school break, and everything is marked by a gigantic celebration and gathering of all our children and extended family members! Wow . . . I got tired just keyboarding that! That celebration – a gathering and meal for almost 400 people – was funded by a generous donation of Christ the King E.S. in Whitehorse under the direction of Tanis and spearheaded by 7G! They donated $339.69 which paid for the food for the gathering and also a little bit more that went into the ongoing construction costs in finishing the building. 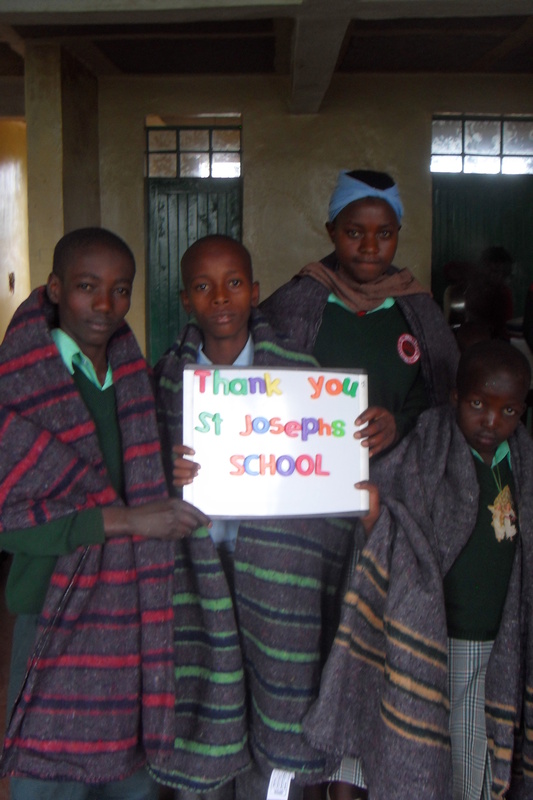 Special thanks to Marlene – and Sharon Jennings – for leadership for this donation from Associated Hebrew School! On Monday November 5th students from Glendale Elementary School roamed their neighborhood in search of any lawn in need of raking. The students from the grade 4/5, 5/6 & 7/8 classes set off in groups to cover as many houses as possible in the area and raked lawns for any given price by residents. The students only went out one day but raised an astonishing $730.50 that was all donated to the Creation of Hope foundation. 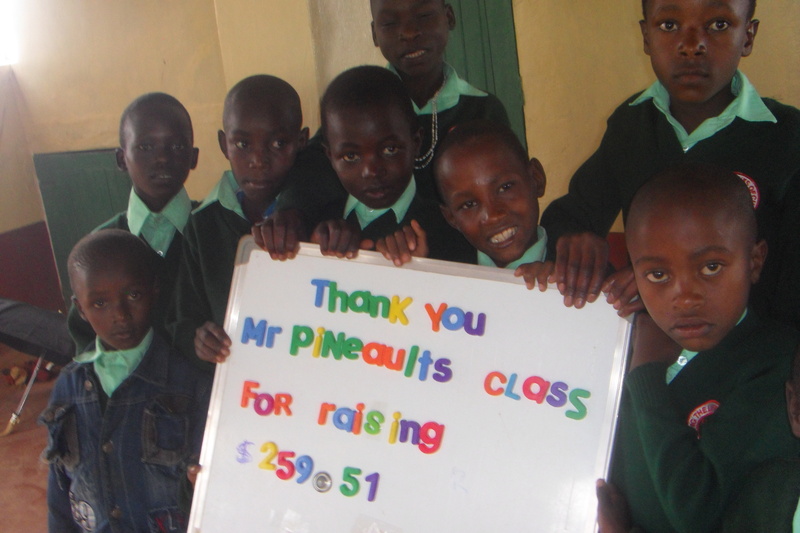 I personally love funding activities where the children/students go out and earn the funds such as this one. 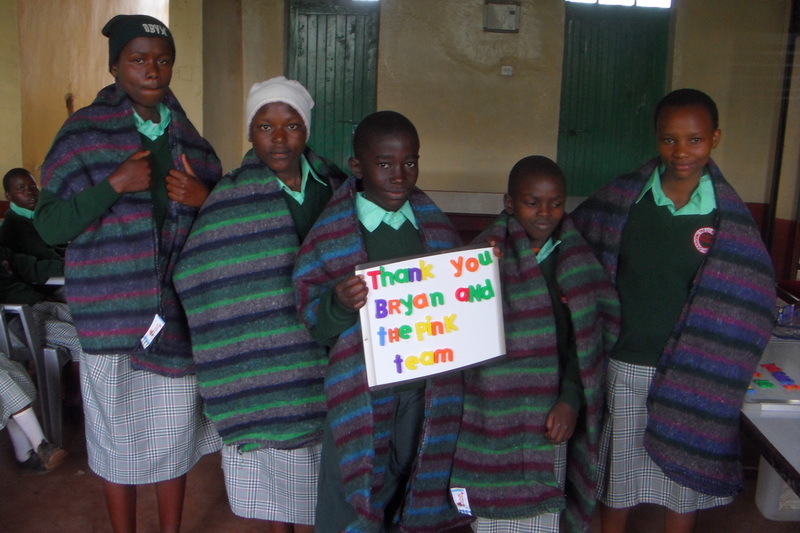 Ryan is not only a long term supporter of the program but he and his wife Amy are also sponsors of Musyoki. This past summer we had 19 Canadians visit the program in Kenya. Amongst those people were Stephanie and her two children Sydney and Gavin (Gavin being the youngest person to ever visit the program). Recently I presented at Gavin’s school – Florence Meares P.S. The fee they paid me has been donated to the program and will be used to help fund a new vehicle. Those who follow our updates realize that we are presently dependent on two very old (almost 30 years old) vehicles that belong to Ruth and Henry. We hope in the coming months to purchase a used van for the program. This fundraising of St. Pius X High School was under the direction of Brett Walker and we’d like to extend our thanks to him as well as two people, Ivana Etro and a student, William Rush, who donated from his part-time job. The total donation was for $750.00 Once again, it always means so much when a student donates from their own money that they earned. Way to go William! Sara has provided incredible leadership at Jack Hulland School in Whitehorse – the students of this school are amongst our most generous ongoing supporters. 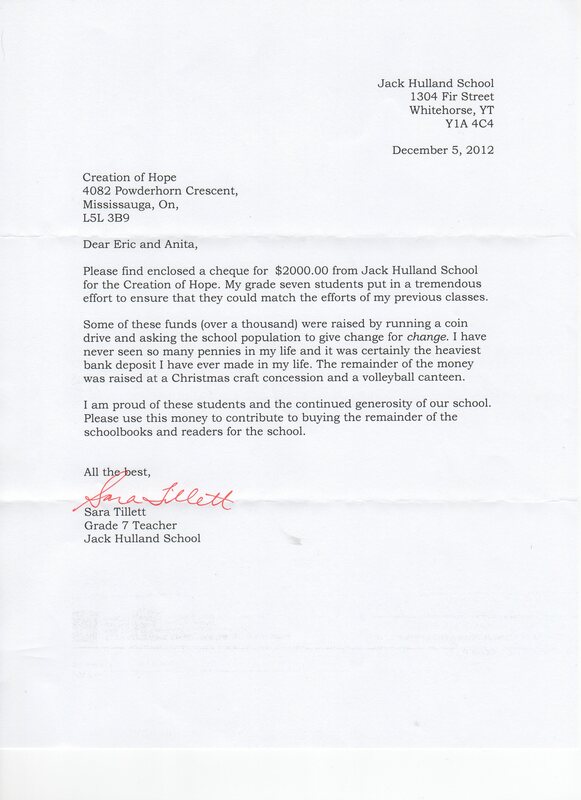 Part of this donation was used for tuition for a student – see below. 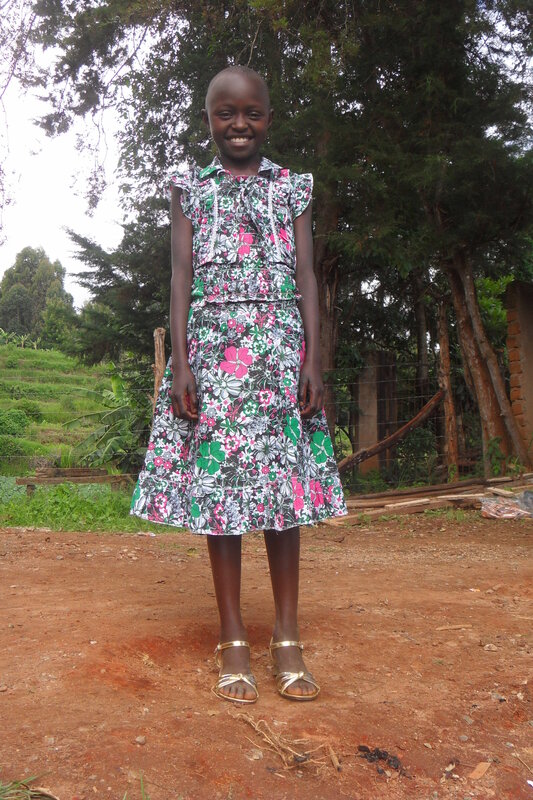 Sara, along with her daughter, Anwyn, are also the sponsors of a child in the program, Mwongeli. 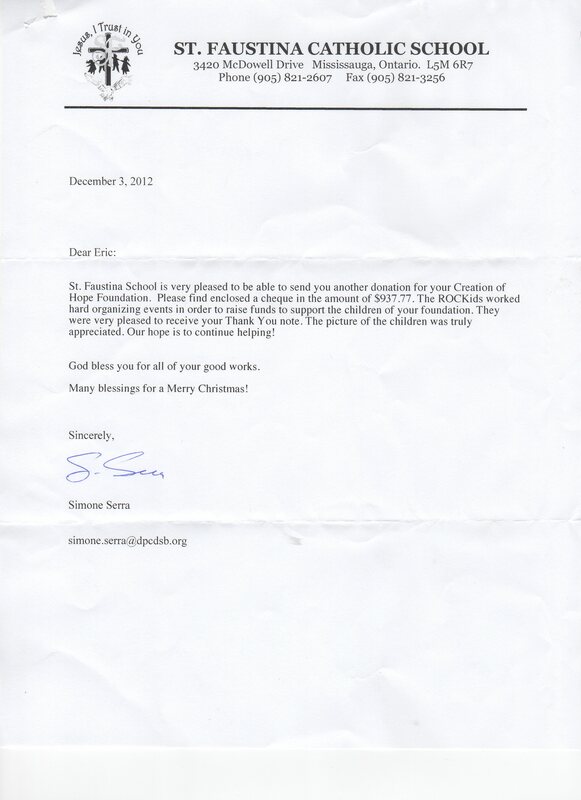 Once again Simone has taken on the leadership at St. Faustina and she and her students have made another wonderful donation to the program. For a second month in a row we have a donation from Emmanuel Baptist Church, from their Sunday School Project, in the amount of $470.00. Instead of exchanging gifts, the Sunday school children took up a freewill offering for Creation of Hope. The money is to be used to build and stock the library in the Rolling Hills Residence. Special thanks to Eric and Barb Ross for their leadership. 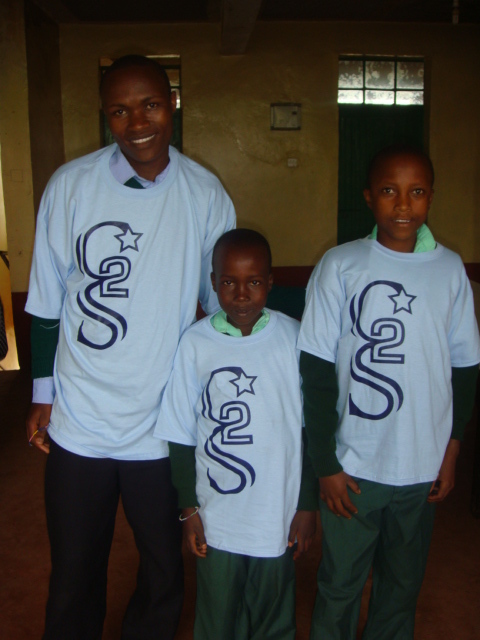 As well they are sponsors of a child, Ndaisi. Sharon Freeman made a very generous donation to honour all of the people listed below! Ila and Jim Appleby, The Brunato Family, Karen Danderfer The Dasovic Family, Rae Figursky, Linda and Bob Ford, Jody Freeman, Rob Freeman, The Gambron Family,Janet Goodman, Jennifer Griffin, Pam and John Hossack, Patti Jukes, Danica Kanjer, Vesna and Slav Kanjer, Heather Mackay, Christine and Marjan Markota, Monica and Tom Markota, Zvonimir and Janja Markota, Kath Mathisen, Jeff Peters, Giannina Rakic, Keely Stott and Sharon herself! 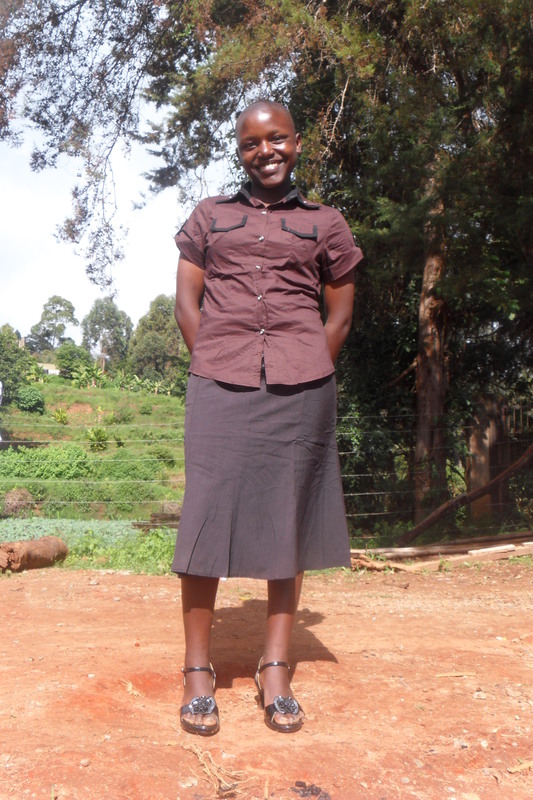 We are so grateful that Sharon has chosen to benefit the orphans by providing the funds that are given on behalf of many of her special and dear friends and colleagues. Thank You Sharon and company! A thoughtful and timely donation from Teresa and Ken Toten will be put towards the purchase of our new vehicle. We received a donation from Bob and Linda Ford (3 days) both on their behalf and on behalf of Sharon Freeman (2 days) . Sally Briggs donation will be used to fund 10 days at the program! Teresa Chircop donated to purchase 4 chickens on behalf of her sister Mary. Hilary Dawson donated on behalf of her niece Jenna. 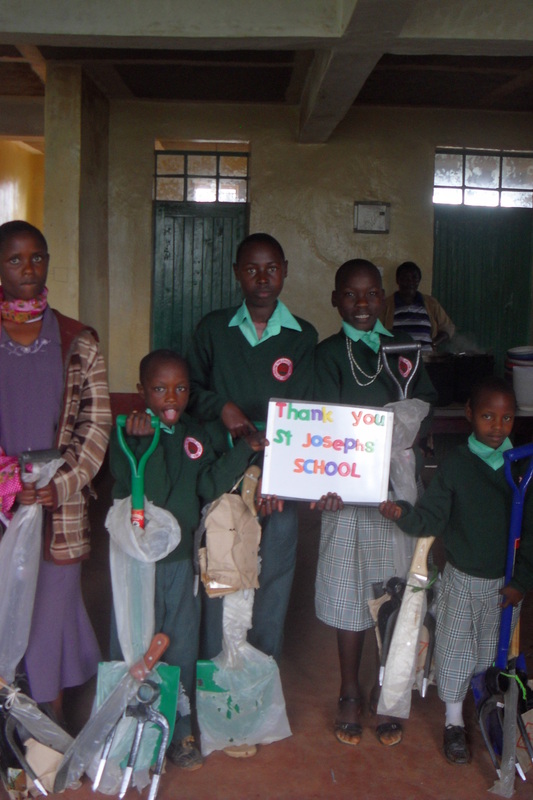 Anita sent out an email to sponsors and friends to advertise that we had ‘Granny bags’ that had been hand-made by the grandmothers in Mbooni. She received an overwhelming response, selling out and raising over $1,000! 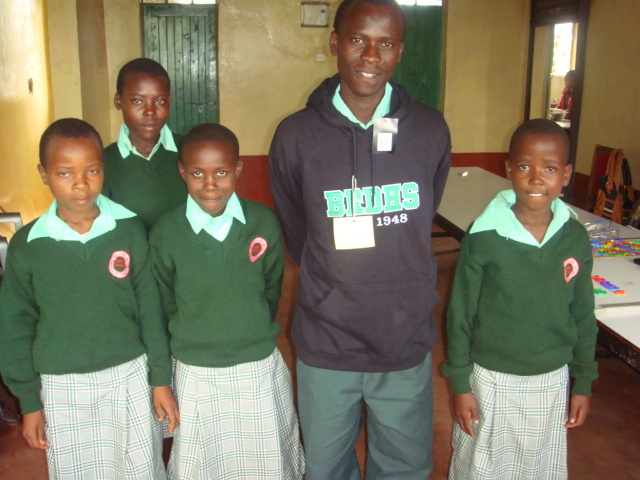 All the money goes directly back to the program to support the orphans. The grandmothers were paid a living wage to produce these bags – in some cases the purchase of a bag almost doubled their monthly income. Sharon Jennings is going over in February and has agreed to bring back another suitcase full of the bags . . . so if anybody else is interested in purchasing . . . we’ll have some more on hand! 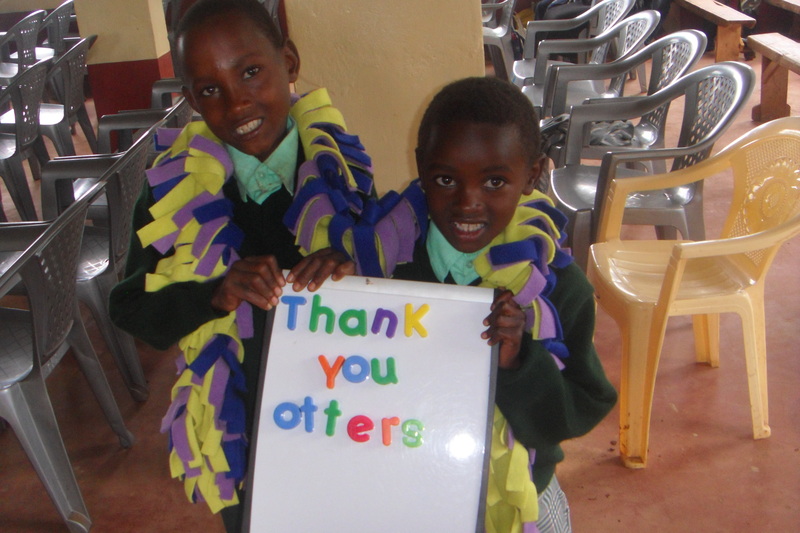 When I present at schools I am often given tokens of thanks that represent the school. 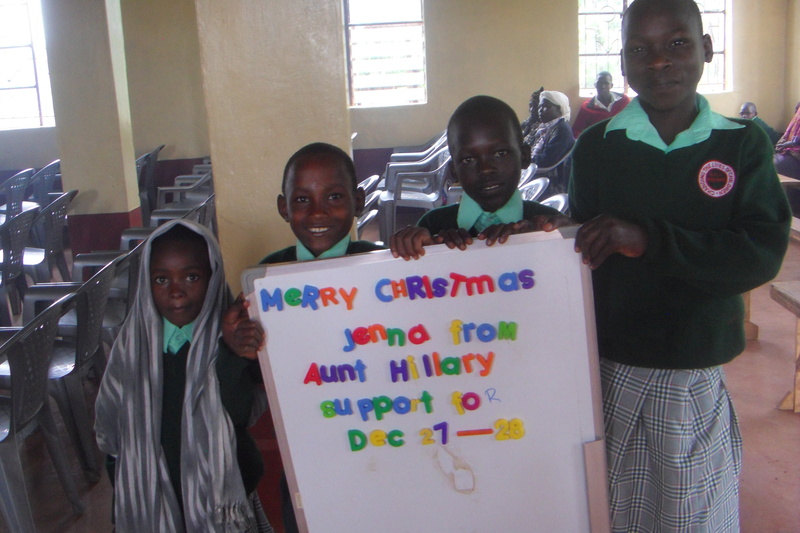 I try to pass them on to our orphans whenever possible. 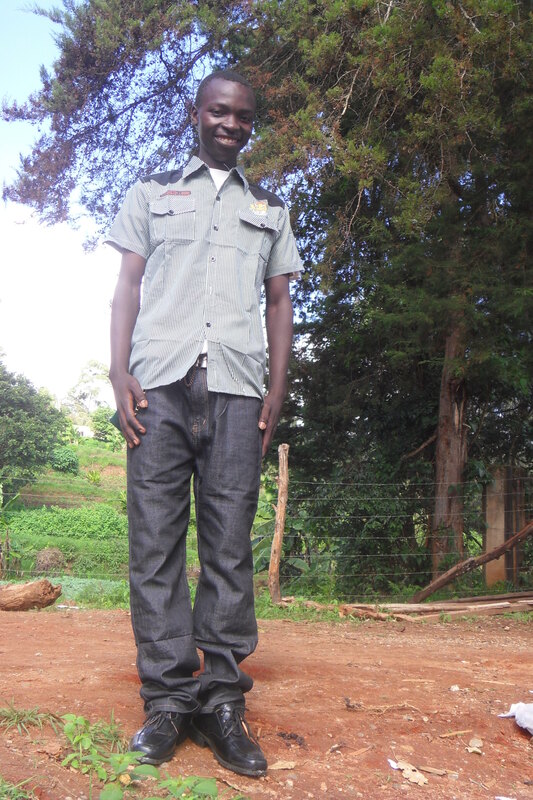 To attend high school in Kenya a student must pay. The amount is determined by the ‘level’ of qualification with National being the highest followed by Regional and Local. This fee covers tuition, room and board, books, school uniform, transportation to and from school for breaks, and school supplies. 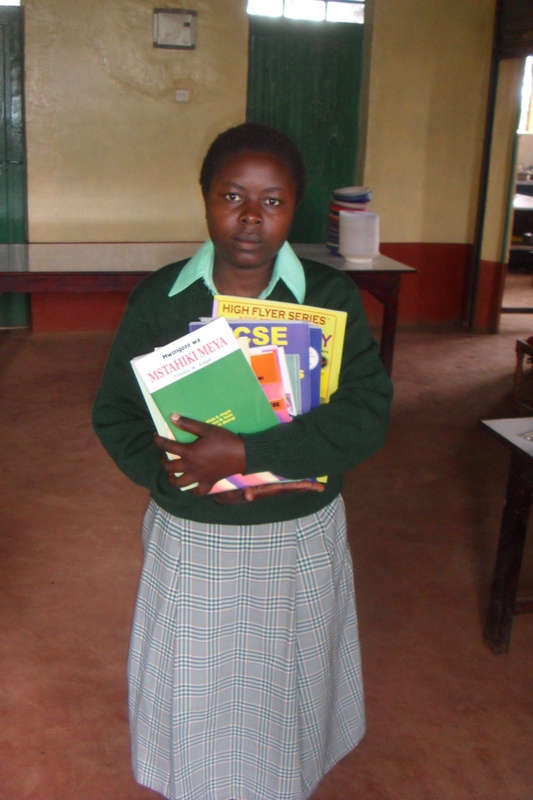 In the coming year we will have 23 students in high school and one student in post secondary. 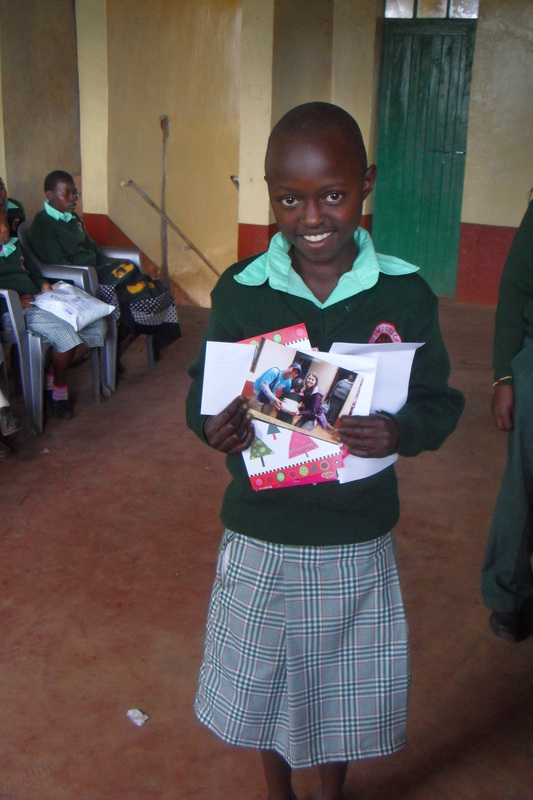 Often at Christmas and for birthdays our sponsors send over parcels for their child. So far every parcel has made it – although sometimes after 3 or 4 months. 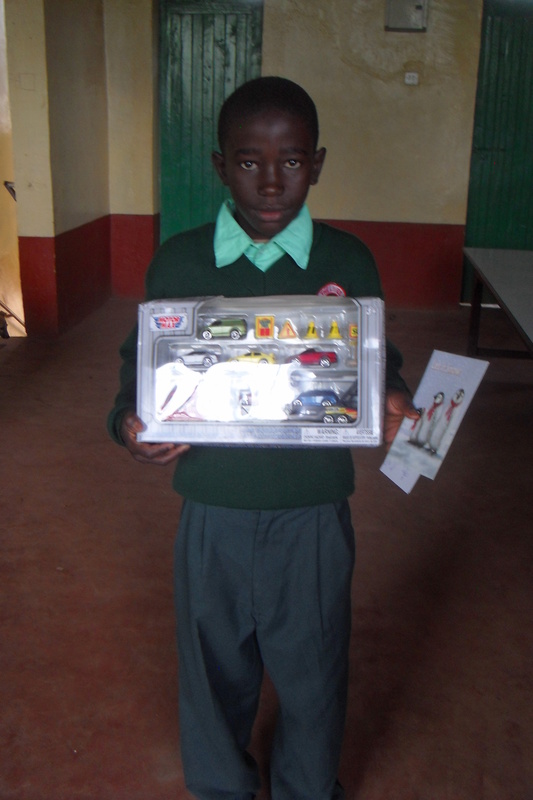 We send back a picture of the child holding the items in the parcel. Here are a few pictures from the Christmas period. 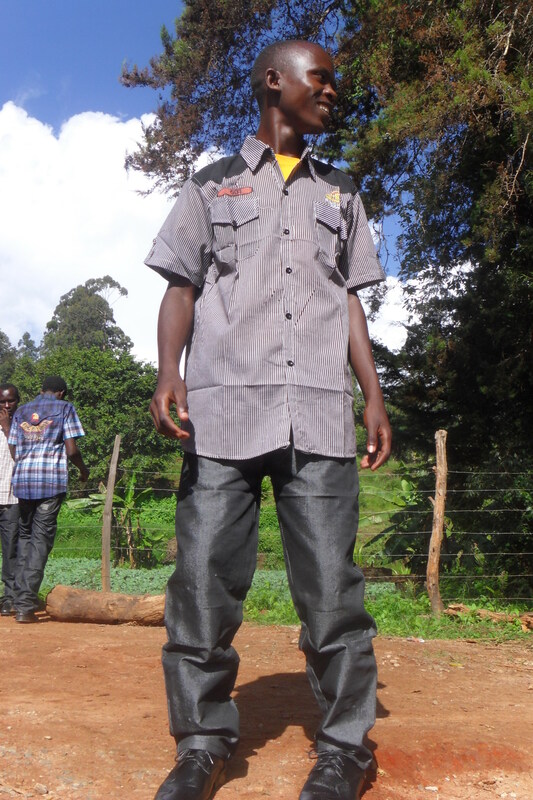 Every child in the project got new clothing and shoes for Christmas as well as parcels and specific presents sent by their sponsors. Below are some of these pictures! One of our most generous and ongoing supporters and sponsors is Fred Dawber and his family. Between Fred and his daughters Kate and Emily they have four sponsored children. Fred has also been a strong proponent in our ongoing quest for a stable water source for the project. 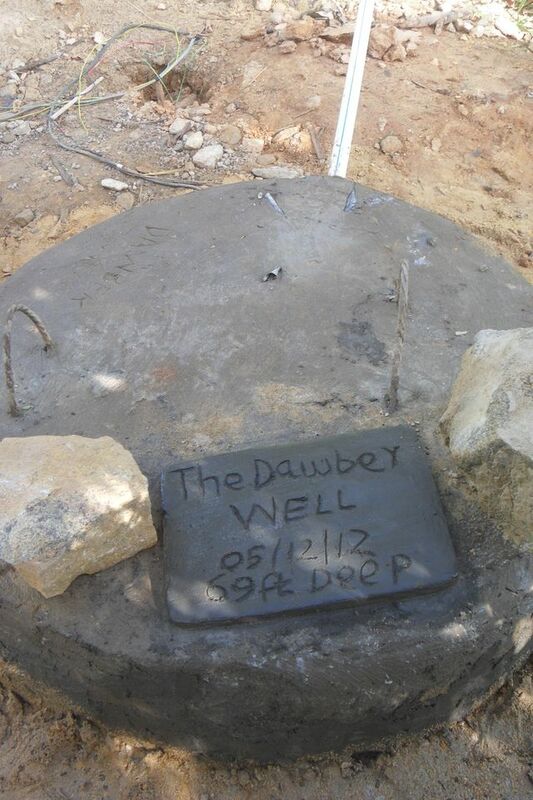 The well has been named in honour of the Dawber family! 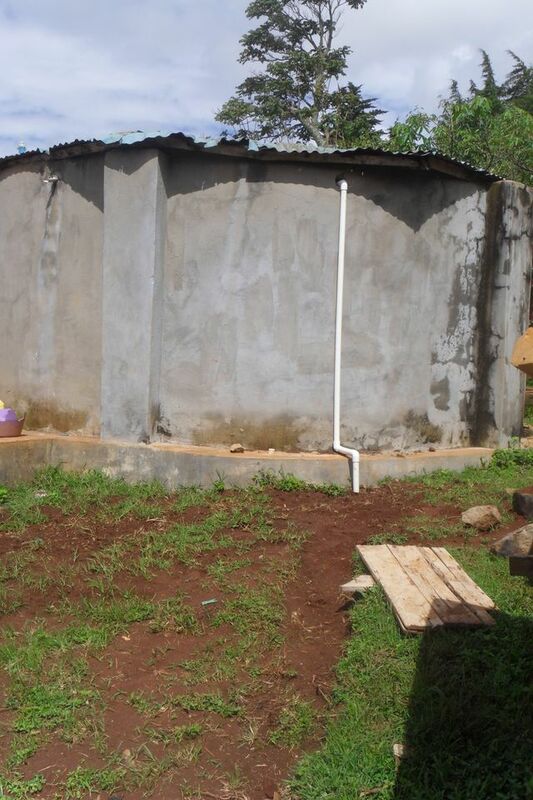 While we have successfully undertaken water projects across Mbooni District we experienced difficulties in providing a similar source for our residence. Below is the final completed well – 67 feet, often through solid rock with a combination of ‘chipping away’ and blasting with dynamite! The water from the well is pumped up the hill to two large storage tanks. From there it is transferred to the Rolling Hills Residence and also used to irrigate the crops. If you have water you have life. We now have plentiful, clean and FREE water! 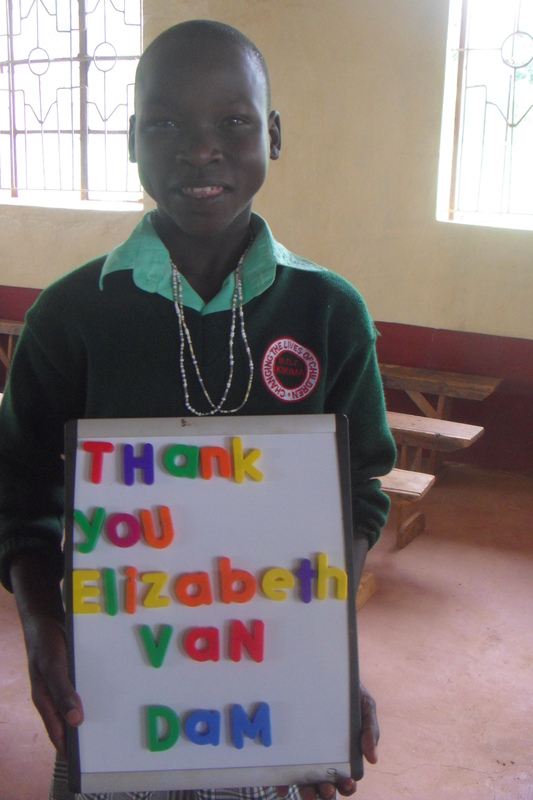 We try our best to send thank you pictures for those offering support. We email them directly to the supporter and like to post a few each month. Here is a selection of the pictures. 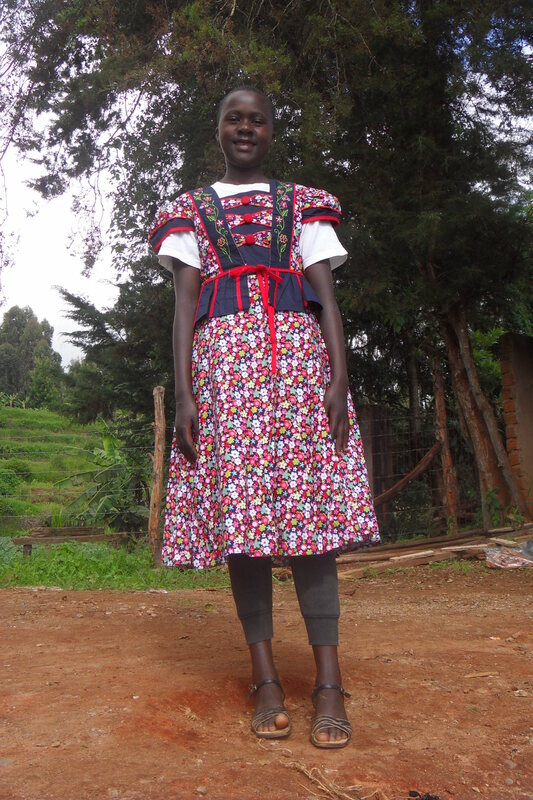 We are such a small organization – basically run off our kitchen table in Canada and Ruth’s desk in Kenya – that we have decided to limit our number of sponsors until we can evolve in a different way. Right now we have 6 people on our sponsorship waiting list. 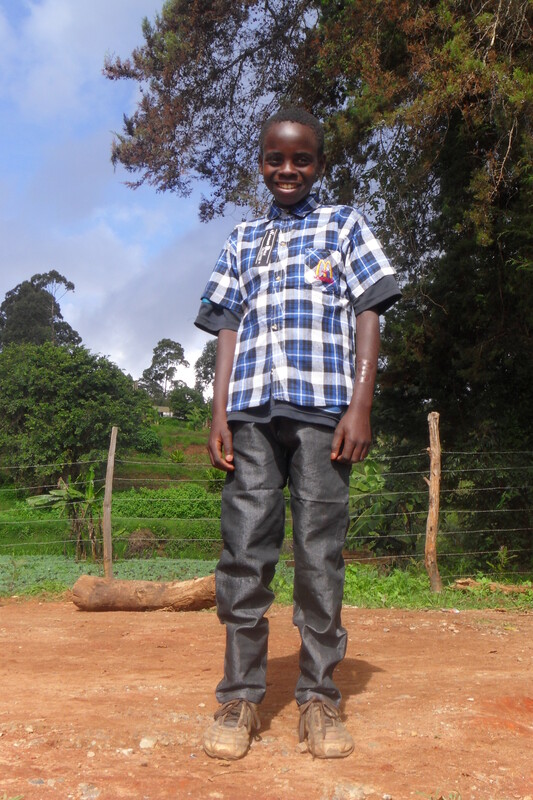 We recently expanded by one sponsor – pictured below! 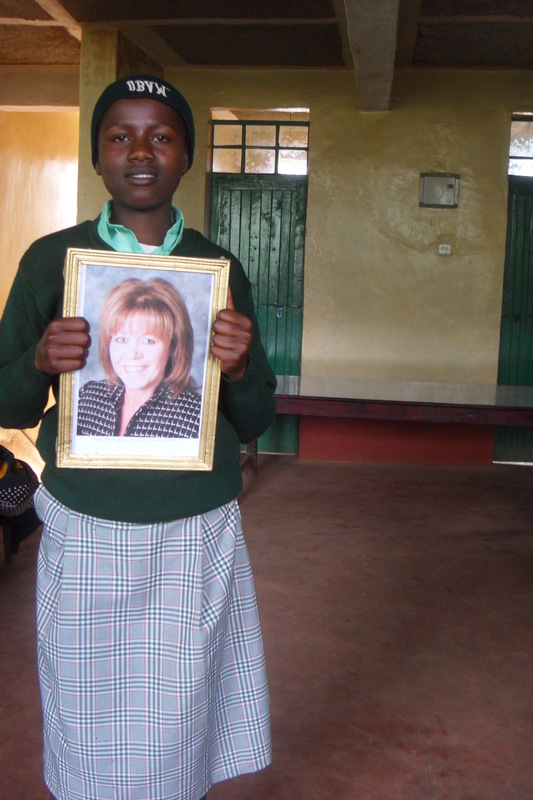 This is a picture of our 116 sponsor, Beth, being held up by her sponsored child Ruth. 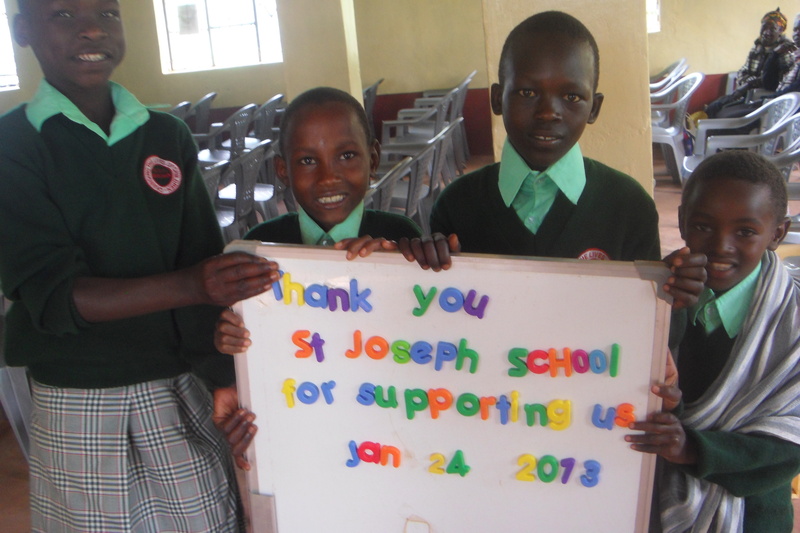 We thank all our faithful and generous sponsors and donors and look forward to a successful year of growth and caring in 2013! May you too find 2013 to be good and productive.